Click on company or topic on list below to view experience. Website design, graphic design and traditional and Internet / online marketing: Create brand awareness, brand recognition, and brand loyalty through marketing, advertising, and merchandising that produce excellent image of quality, a distinct corporate and brand image, sales, and successful gross margin. Excellent graphic design skills for both web and print. Proficient with PowerPoint, Photoshop, Dreamweaver, Fireworks, FLASH, Illustrator, HTML, Image Ready and digital photography. Computer literate with both the Mac and PC. Familiar with management information system, word process programs. Excel, Quicken and budget management. Website Development: Design and build custom specific websites for SOHO (small to medium sized businesses). Online Marketing Management: Create and implement keywords common and unique key phrases / meta tags campaigns or search engine strategies and optimization (SEO). Experience with Google.com Adwords and Analytics and metric tracking. Develop strategic alliances and affiliate relationships, create online promotions, implement traditional marketing / advertising / public relations, acquire additional domain names, etc. Sales: Sell websites and website services. Web Site Development: Design and build industry specific website templates. Click here to see portfolio. Web Site Technical Support: Walk accounts through website software and assist them in building their site. Advise accounts on HTML, photo editing, shopping cart, keyword selection and placement, submission to search engines, etc. 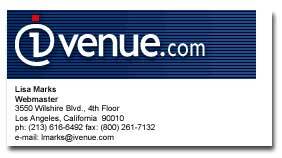 Copy writing, Web Site Text Editing, and Marketing Communications Implementation: Write marketing and advertising copy, as well as press releases and articles for Ivenue.com Web site and printed materials. Website Marketing: Assist accounts in submitting to search engines, developing strategic alliances and affiliate relationships, creating online promotions, implementing traditional marketing/advertising/public relations, acquiring additional domain names, etc. Internet Marketing/Advertising: Create and implement traditional and Internet advertising and marketing programs and promotions for the www.AudioUniverse.com Web site and track effectiveness. Develop business-to-business affiliate relationships, including strategic alliances utilizing co-branded Web pages, and report activity with BeFree software. Catalogs, Brochures, and Miscellaneous Collateral Development: Direct the design, development, and distribution of marketing communication materials including direct mail. Trade Show, Sales Conference, and Promotional Event Planning: Plan event program, develop booth and display / merchandising units, produce sales support materials, schedule shipments, travel, and hotel accommodations. 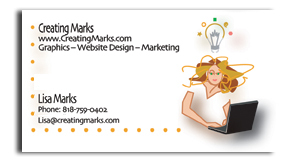 Marketing Communications/Public Relations: Develop press kits: including press releases, images, and product. Distribution of the kits to the media resulting in an abundance of product/editorial placement. Create print and radio advertising campaigns. Work with Licensors (Disney, Warner Bro's., Nickelodeon, Children Television Workshop, etc.) on approval process. Produce company newsletter. 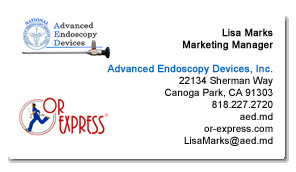 Click here to see copies of press releases. Traffic Management and Media Buying: Participate in the planning and buying of media time and space (radio and trade/consumer print) and traffic copy and graphic design to meet deadlines. Web Site Content Directing: Member of the Internet committee to oversee content and direction of www.Applause.com. National Account/Project Management: Determine marketing and sales goals working with major national accounts to create in-store retail promotions using point of purchase, gift with purchase, and collateral that result in increased sales. Point Of Purchase, Print, and Promotional / Premium Gift Purchasing: Create campaign, develop projects, purchase /negotiate cost, direct warehousing, fulfillment, and distribution. Click here to see magazine article and collateral piece: 40 Under 40. Budget Management and Employee Supervision: Oversee and regulate the annual budget for the Marketing /Advertising department (over $7 million / 5 employees). Trade Show, Sales Conference, and Promotional Event Planning: Plan event program, develop booth and display / merchandising units, produce sales support materials, and schedule shipments, travel, hotel accommodations, entertainment, etc Participate in setup and breakdown (trade show booth size 60ft x 50ft with a deck). Click here to see trade show article: New Look for Skechers. Field Service/Retail Merchandising Team Launch and Supervision. Point Of Purchase, Print, and Promotional / Premium Gift Purchasing: Create campaign, develop projects, purchase /negotiate cost, direct warehousing, fulfillment, and distribution. Drape and draft patterns for apparel designs. Choose and buy fabric and notions for line. Internet Curriculum: Novell: Designing Effective Websites, Online Marketing Strategies, Frontpage, HTML, Photoshop, Illustrator, etc.